A trio made up of magic!! The heavy beat start that feels so sweet yet so much soul it instantly makes you smile and just look forward to what’s to come next. With the vocals from Malone sang in french it’s safe to say this is one multi talented musician. Then the silvery vocals from Ismael and Ferricia come through and carries the song so beautiful. Both French and English singing just makes my mind go crazy when I say it but it can be done and Malone does it magnificent to give his tracks that unique edge. This entry was posted in #album, announcement, MOTFHASHTAG, music, NEWS, SINGLE and tagged english, Ferricia Fatia, french, Ismael Sankara, Malone, Music, MUSIC #NEW, project light agency. Bookmark the permalink. THE CREATIVNESS STILL RUNS THROUGHT GEORGE SHELLEY’S VEINS, ANNOUNCING HIS NEW MUSIC PROJECT ‘ORIGINALS’ OVER THE NEXT SIX WEEKS! Former Union J member George Shelley has been busy after he left the group from coming runner up in I’m A Celebrity Get Me Out Of Here to now presenting on one of the biggest stations Capital FM but George is back with music AND a gig! Over the next six week George will be revealing new music and videos to give us fans something back. Not only co-producing all the songs , George wrote all the songs and even directed and edited all the videos to each of the tracks! George then will release ‘Soldier’, a song about the importance of family, and how it’s always worth fighting for. ‘Scars’, inspired from a DM on Twitter I received from a girl in need of help who was self-harming. It touched me, and although I didn’t know how to help directly, I picked up my guitar and this song kind of fell out of me. I hope she gets to hear it one day, and it helps her in one way or another. This entry was posted in announcement, DEBUT, introducing, MOTFHASHTAG, music, NEWS, Uncategorized and tagged chelsea, fifth element, George Shelley, gig, goving back, im a celeb, intro, Music, new project, solol artist, under the bridge, union j. Bookmark the permalink. -We have been told that our songs often have some kind of an Asian touch to it. We came across the name “Rana”, added Sir because we liked the idea to put “sir” together with the feminine sounding “Rana”. -We in Sir Rana have played for five years together in different projects. The only thing that has been constant is the four members we are today. A previous project was the band Criminals, in which we had some success including tours in Europe. The past three years we have been locked up in our studio creating music. Right now we are looking to play as many gigs as possible to share our new music. -Well, it’s different for all of us, but we all grew up with a love for music and eventually we wanted to start creating ourselves. -We wish we were! We really like what this band is becoming and are excited to see how far it can take us. -Anton started to play this fantastic bass riff that we all loved and after that the guitar riff came quite naturally. The vocals was a bit of a pain to write with the bass and guitar being all over the place, but once we got the chorus melody down the rest kind of wrote itself. The lyrics are about when you are trying and trying but realize that you have been trying the wrong way. You’ve also released a video to another song called ’Don’t Tell The World’, how come? -Before we started to record songs we transformed our rehearsal space into a studio. Friends and family helped us so we wanted to give something back. We invited friends and family and played some songs and yet another even more awesome friend helped us film it. Will we see an EP or album this year or next? -Our plan is to keep it a secret for now but we have a lot of material that is ready to be put out. Can you tell us anything about it (if you are due to release)? -No one in particular at the moment. -A rapper would be neat, or a female singer! Anything really that forces us to challenge ourselves. Just send us an e-mail! -In a previous project we played some in other European countries like Germany and England. We would love to do that with Sir Rana as well. But at the moment we only have gigs planned in the cold north (Sweden). -We listen to everything from Frank Ocean and Miike Snow, all the way to Vivaldi. -We all bring ideas to the studio. We tend to write better music when we start with just a simple yet strong melody or riff that we build the song around. -We hope to be on a big stage somewhere. -We all want this band to go well so for now we just have everyday jobs that make enough money so that we can focus as much as we can on the music. -We all like The Beatles very much so probably one of their songs. If you had one of your songs played on a TV show or Film which would you want it to be? -Simple question. The O.C. of course. Brilliant manuscript! -That we should do as much as we can ourselves. Building our own studio has given us a lot more freedom and the control to make our songs sound exactly as we want them to. -Keep at it. Don’t think too much about what other people think. How did it come about working with Mighty & Bear Promotions? – The owner is a friend of ours. He loves us and wanted to help us reach out to the world. And he wouldn’t accept no for an answer, so here we are. -Drums, synthesizers, guitars, basses and David, our singer. Yes! @Sirranamusic on Instagram & Twitter and Sir Rana on Facebook. This entry was posted in Band, GEMMAMUSICOFTHEFUTURE, interview, live gig, MOTFHASHTAG, music, NEWS, Uncategorized and tagged Band, get to know, mighty&bear promotions, Music, New Music, Sir Rana, swedan. Bookmark the permalink. It’s the final day of #BBWeekOfVidsOnMOTF and Video number seven is DJ Snake Ft Justin Bieber ‘Let Me Love You’. Covering this as a live session I love to see him do something different every now and then. With Brock’s vocals being deeper in this cover it really gives him that head start with the different vocal tones and ranges in different songs. I love that because everyone is different and makes it his own in a great way! In parts of this track Brock actually sounds a bit like Bieber as he gets to the chorus then just throws you off with them attractive vocals and the simmering of that great beat. This entry was posted in BBWEEKOFVIDSONMOTF, introducing, MOTFHASHTAG, music, NEWS, Uncategorized and tagged BBWEEKOFVIDSONMOTF, Brock Baker, Dj Snake, Justin Bieber, Let Me Love You, motf, Music, MUSICOFTHEFUTURE. Bookmark the permalink. Straight away diving in to the song is Brock’s fruity vocals, even though it has a slower start to the original it still takes you in the journey of the lyrics just the same. Brock added his own touch to his version and it makes it better and the chorus in Brock’s version is again a low beat but still has the catchy rhythm to the track. The Uke is a fantastic touch to this video and really brings out Brock’s different vocal tones , he has so many and it’s so great to see in the different songs his plays. This entry was posted in BBWEEKOFVIDSONMOTF, introducing, MOTFHASHTAG, music, Uncategorized and tagged Andy Grammer, Brock Baker, cover, MOTFHASHTAG, Music, musicotfuture, SOLO. Bookmark the permalink. The video to this cover is more plain than the others where it had either guitars in the back or the fire but this is just a plain wall which I think is done on purpose to let you create your own image. Starting with a bang, the song just comes out of Brock as if it was his own, with the vocals so powerful yet so smooth it just makes you relax instantly and put it on repeat. I just love how professional this sounds , such high quality vocals which just make your heart melt and and the instrumental just carries you and it’s stunning. This entry was posted in BBWEEKOFVIDSONMOTF, GEMMAMUSICOFTHEFUTURE, MOTFHASHTAG, music, NEWS, Uncategorized and tagged Brock Baker, cover, Kiss, prince. Bookmark the permalink. Starting it off with a guitar solo lasting around 30 seconds which gives it that build up perfectly. This is a song that a lot can relate too, you can tell it is written from the heart expressing what he feels and sang so deep and soul. The imaginative and creativeness from Brock shines through this song and you need to listen to the message behind this song! This entry was posted in BBWEEKOFVIDSONMOTF, GEMMAMUSICOFTHEFUTURE, MOTFHASHTAG, music, NEWS, Uncategorized and tagged BBWEEKOFVIDSONMOTF, Brock Baker, Marley, MUSICOFTHEFUTURE, Original. Bookmark the permalink. Brock Baker’s video number three is his duet with Loren North. When this first comes on you hear Brock sing the first line and Loren just come over the top. Having a more laid back feel to this song I just love where it takes you by the end. It is just sang and written with so much passion, it comes flowing straight out as soon as the two sing. Brock vocals are more lower but ease you through gently and let’s you listen to the lyrics in a magnificent way then Loren’s higher vocals take the song to the next level giving it their own originality and is so professional. 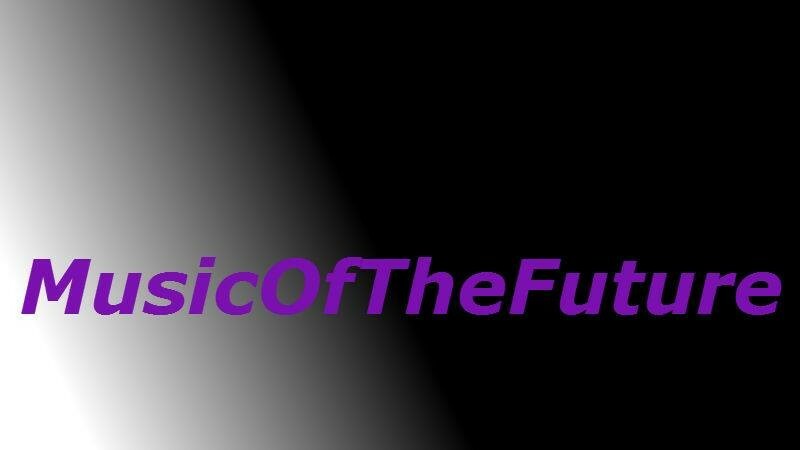 This entry was posted in GEMMAMUSICOFTHEFUTURE, MOTFHASHTAG, music, NEWS, Uncategorized and tagged BBWEEKOFVIDSONMOTF, Brock Baker, Loren North.. Bookmark the permalink.